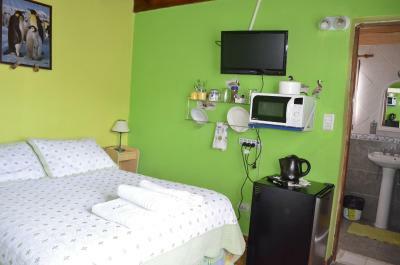 Lock in a great price for B&B Nahuel en Ushuaia – rated 9.2 by recent guests! Maria Christina was a great hostess. So much help in planning activities and taking care of me during my stay. She even carried conversation, despite my broken Spanish. Maria, the host, is a wonderful person. Available and rich of indications and courtesies. Very good breakfast and wonderful atmosphere. The location and the owner’s most helpful and bubbly personality. The breakfast was good. The owner Maria was so nice, even though she doesn’t speak English. She use the Google Translator to communicate with us. She helped us to reserve tour and Airport pickup service. Such a warm welcome and friendly host. Helped with reserving a tour and gave us much information in the most friendly way! The reason you should stay here is the host, Maria Christina is the best B & B host you could ask for. The hostess Maria is incredibly kind and helped us a lot. The breakfast is great and the accomodations clean. Comfortable rooms with free WiFi are offered in Ushuaia only 1,000 feet from San Martin Street, the city's commercial area. The B&B can arrange excursions at a discount for its guests. A daily breakfast is included. 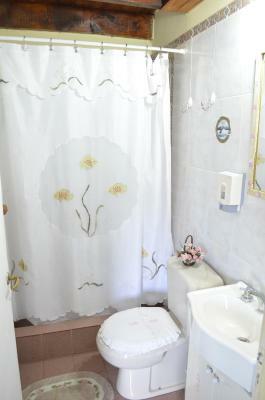 B&B Nahuel en Ushuaia has rooms with shared or private bathrooms. Rooms are equipped with a flat-screen TV. Private bathrooms also come with towels. Some rooms have a sea view and a mountain view. Extras include a washing machine, linen and ironing facilities. At B&B Nahuel en Ushuaia you will find a 24-hour front desk and a garden. Other facilities offered include a tour desk, luggage storage and ski storage. An array of activities can be enjoyed on site or in the surroundings, including horse riding, cycling and hiking. The property offers free parking. The harbor is 1,650 feet away and the city's international airport is a 10-minute drive. Airport shuttles can be arranged for an extra fee. This is our guests' favorite part of Ushuaia, according to independent reviews. 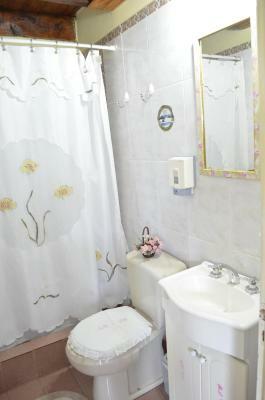 뀐 Located in the top-rated area in Ushuaia, this property has an excellent location score of 9.1! 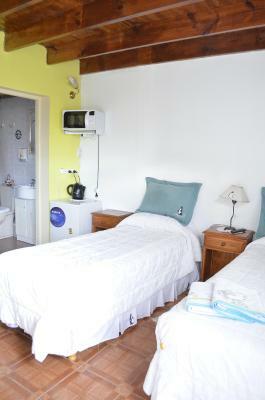 When would you like to stay at B&B Nahuel en Ushuaia? 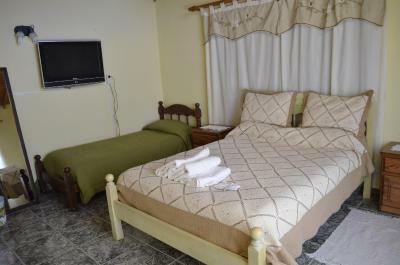 This quadruple room includes views of the hills, a mini-bar, a cable TV, a double bed and 2 single ones. 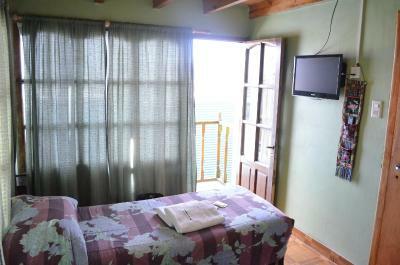 This room offers views of the Beagle Channel and the Glacier. It includes a cable TV. Some units afford a balcony. 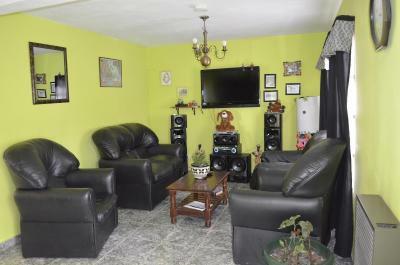 This twin/double room features a private entrance, microwave and patio. 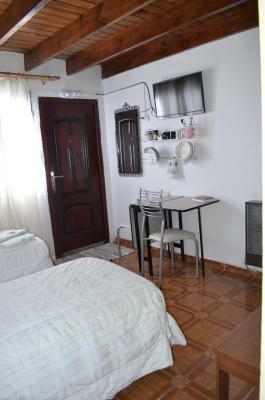 This triple room features a view, washing machine and kitchenware. House Rules B&B Nahuel en Ushuaia takes special requests – add in the next step! Please note guests are required to send in their flight details and estimated time of arrival in advance in order to arrange airport pick-ups. Please inform B&B Nahuel en Ushuaia of your expected arrival time in advance. You can use the Special Requests box when booking, or contact the property directly using the contact details in your confirmation. Maria Cristina will do everything she can to assist you. Great location, nice breakfast and really nice host. It was cold in the bathrooms. The laundry machine was broken and we had to use an external laundromat. Great breakfast and location of the property. We had a nice view from the room. The host can get you a 10% discount on several tours. The owner Maria Cristina was the best, smiling all the time and very helpful. Owner Maria Cristina was lovely. She didn't speak much English and I hardly spoke Spanish but we managed just fine. She was very helpful booking tours for me and suggesting areas to eat. Breakfast included eggs - a real treat in Argentina where it's usually just sweet pastries and dulce de leche. At breakfast, everyone sits around a large table so it's a good place to meet other travellers. The rooms are big and warm, and everything is clean. 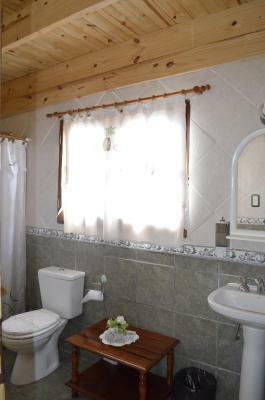 Bathrooms include toiletries like shampoo, soap and a hairdryer. My room had water views. Only hard boiled eggs . 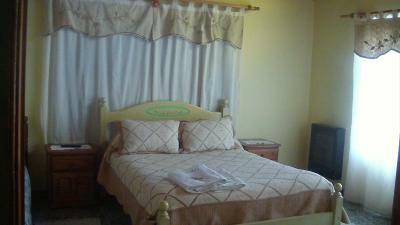 Position was excellent, the room comfortable and clean, breakfast excellent and staff superb. Credit cards are NOT accepted here & it was difficult to get sufficient pesos from the bank to pay. Our bedroom let in lots of light at night, even after the owner tried to solve this problem with extra curtains. A light bulb that needed replacing was not replaced. The beds were not completely flat - there were dips. The hostess was friendly & helpful. The breakfast was very good & plentiful. The laundry was close. Not far from main street. Good wifi.